How to optimize the flank champion Koga in Paladins. Following the release of the flank champion, Koga, Paladins players have been wondering what deck build is best for optimizing Koga’s unique skill set. There are a variety of deck builds that “work” for Koga (including his base build), with much of it boiling down to personal preference and play style. Of course, if you’re new to Paladins or are simply looking for a deck to use while you get the hang of Koga's skills, having an idea where to start definitely helps. With that in mind, here's a quick guide on how to build the best deck for Koga in Paladins! 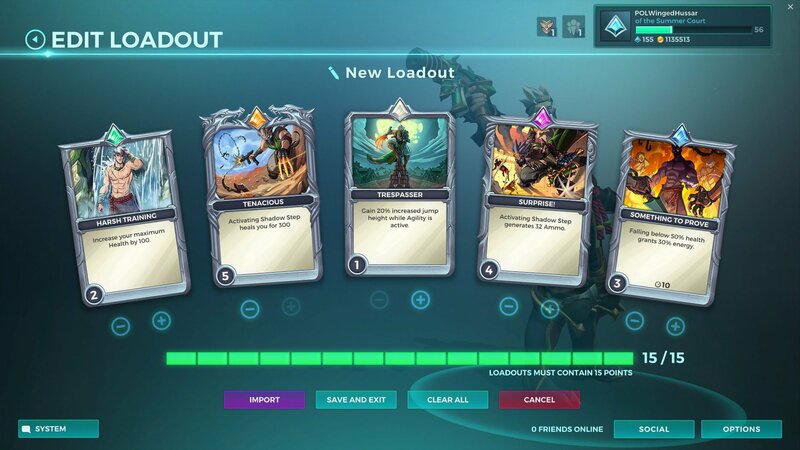 We recommend this setup of cards as the best deck build for Koga in Paladins. As you can see in the above image, the best deck build for Koga in Paladins doesn’t require too much tweaking. Of course, you’ll still need to level your cards as you go along to further improve your Koga deck. Adrenaline Junkie: Dealing damage with Submachine Guns restores Energy. Harsh Training: Increase your maximum Health by 20-250. Tenacious: Activating Shadow Step heals you for 60-300. Trespasser: Gain 20-100% increased jump height while Agility is active. Surprise: Activating Shadow Step generates 8-40 Ammo. Something To Prove: Falling below 50% Health grants 10-50% Energy. Submachine Guns: Koga’s default attack. Fires two rounds each, dealing 40 damage every 0.06s. Hellkite Claws: Hurls a fiery slash dealing 600 damage every 0.55s. Shadow Step: Quickly dart forward becoming untargetable for the duration. Consumes 1 unit of Energy. Skewer: Dash forward slicing anything in your path for 600 damage. Consumes all Energy. Dragon Stance: Unleash your Hellkite Claws. While in this stance, you are constantly consuming Energy. Requires 1 unit of Energy available to trigger. Agility: Move 50% faster and increase jump height for 4s. Consumes 1 unit of Energy. Passive: Hold Space when running into a wall to climb it. Cyclone Strike (Ultimate): Melt into the shadows becoming untargetable and striking anyone within 25 feet of you for 1,500 damage per second over 2s. Goes through shields. Furthermore, the reason why we suggested that particular deck build for Koga is because it enables you to regenerate Health, Ammo, and Energy pretty evenly. It also helps boost the damage you deal, and gives you the ability to disengage from a fight should the need arise. If you’re looking for an alternative deck build to the one we’ve suggested, you can also give the following Koga deck build a try in Paladins. To try something different, you can use this deck build for Koga in Paladins. Dragon Fangs: Dragon Stance no longer consumes Energy, and instead consumes 200 Health per second. Wind’s Embrace: Heal 20-300 Health per second while Agility is active. Gale Storm: Kills with Skewer restore 10-50% Energy. Guild Tactics: Kills with Skewer restore 200-1,000 Health. No matter what deck build you end up using for Koga in Paladins, the important thing is that it enhances the skills you use most. 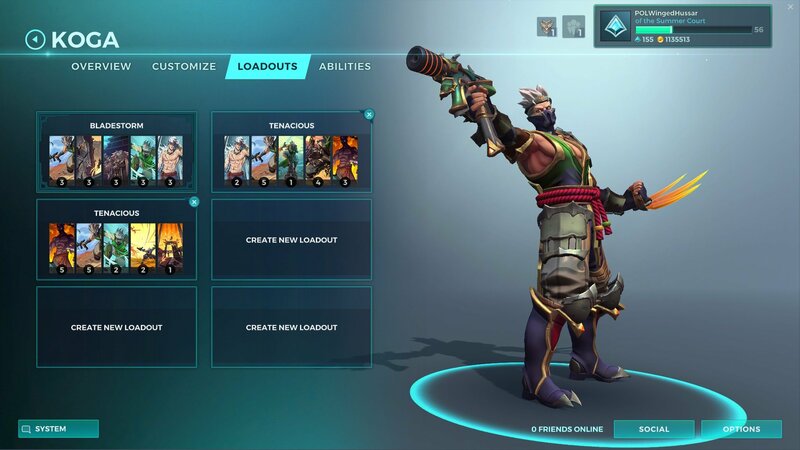 Koga is a flank champion, meaning he does better in 1v1 fights and may struggle to take on a clustered group of enemies. With his quick movement speed, try to navigate your way around the map picking your enemies off one by one. With the suggested deck builds, you should have a plentiful supply of Energy available for your skills, and the ability to quickly regenerate Health after each enemy encounter. Let us know in the comments below how you prefer to build Koga’s deck in Paladins and what strategies you employ to make the most out of this unique flank champion. By reading through this guide, you should now know the best deck build for Koga in Paladins.